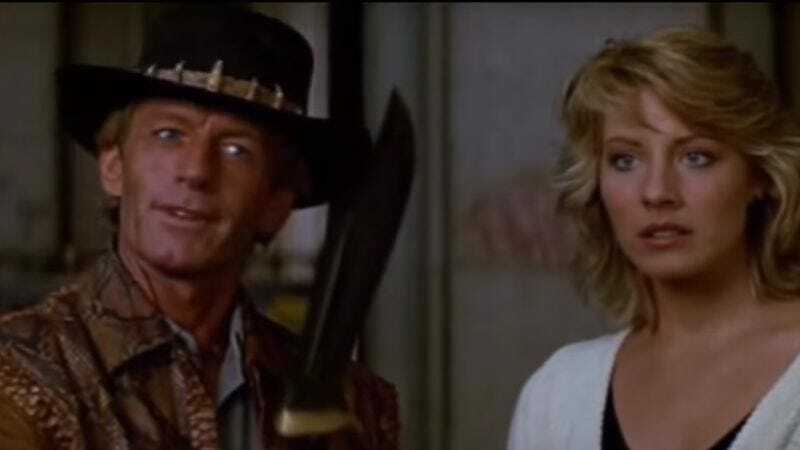 Another aspect of the film’s popularity is dissected by writer Jessica Plautz in a piece for Travel + Leisure entitled “‘Crocodile’ Dundee Turns 30: How Paul Hogan Changed Tourism In Australia.” The article points out that the movie’s outback scenes were filmed in regions of Australia rarely visited by the country’s own citizens, let alone visitors. Fans were amazed by the breathtaking vistas seen in both the first and second Dundee films, and tourism boomed. Hogan’s movie happened to come along at a time when America’s interest in Australia was peaking. John O’Sullivan, the managing director of Touring Australia, says that Hogan and his movie “certainly introduced the indigenous Australian culture into the U.S.” That’s quite a feat for such a modest film.